Liz moved from Washington D.C. to North Carolina to attend college at Appalachian State University where she obtained her B.S. in Interior Design and Planning. After college she managed several boutique stores in the NC High Country. From 2005-2017 she worked as an Residential Interior Designer for Ethan Allen in Charlotte, NC. Today, Liz enjoys working and collaborating with clients at any stage of the design process. She can build off a foundation that has already been established or start from a concept and work through completion. Her strengths are in color theory and textile selection. Her clients appreciate her love of design and attention to detail. 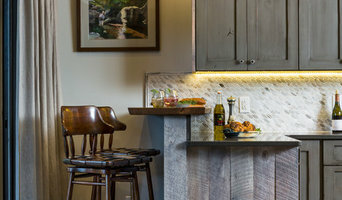 Kitchen Vitality Design focuses on the interior design of residential kitchen, bath, and mudroom renovations with personalized design renderings, product selection, and installation. Service areas include: Charlotte, NC, and surrounding neighborhoods. At SCC Interiors, our design team staff specializes in guiding our clients successfully throughout all aspects of new construction and home remodels, from concept to completion. We also offer project management and consulting services to keep your project on time and under budget. Whether you want to remodel your home or just change your current décor, we work to define your style and specify your particular needs. Hey there. I’m Kevin Carpenter, Interior Designer. Let’s make your house your perfect home. I work with clients to create the homes of their dreams, whether they are designing from the ground up, refreshing their existing home after the kids have flown the nest, or updating a kitchen or master bedroom. Maybe your current home is perfect and you’re ready for that dream second home. 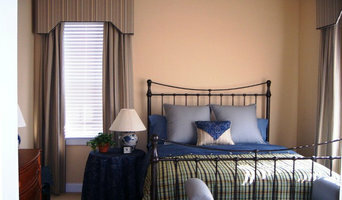 Kevin Carpenter Interiors is a North Carolina based design firm. I am fully committed to the process from first consultation, planning, product/furniture selection, construction supervision, to final move in. Consider Kevin Carpenter Interiors with anything you can imagine for your home. I will make it a reality. I began my career twenty years ago with Gail Brinn Wilkins ASID, and continued honing my skills at top Charlotte architecture firm, Meyer Greeson Paullin Benson. I have a core principle that good design is best when done right the first time. I am an expert at space planning, custom moulding details, and made-to-order furniture, cabinetry, furnishings, rugs, and window treatments. I bring my considerable experience to each project, guiding clients to casual, beautiful, functional interiors that reflect their individual style. www.houzz.com/pro/rlondonstage/_public Our goal is to create beautiful homes and spaces. Our experience allows us to offer many services to the homeowner, builder or realtor in building, remodeling or in preparing a property for sale. Working to get the best market value for a property in the shortest amount of time within budget. Real estate today requires a professional visual marketing plan as well as being prepared for the best in person tour presentation. This is accomplished thru London Staging and Design, LLC Professional Staging Services. We also provide Custom Lifestyle Design Services for homeowners redecorating, remodeling or starting a new home construction. As owner, our experience was developed over 30 years working in real estate, remodeling, new home construction, and design and decorating in the residential market. Our extensive travel and residences in the U.S. and abroad have guided many of our design projects. Coming from generations of skilled artists, custom home builders, craftsmen and engineers that have guided and shaped the skills our company have to offer our clients. We care about our clients and the attention to detail is evident in our design projects. Review our idea books on Houzz today and call us for your next project! Spenzac offers a full range of interior design service for your home or business. Our firms artistic approach focuses on the transformation of interior landscapes that maintain a clean balance between design elements. With a focus on high-end contemporary residential and commercial spaces, we approach each assignment as a creative collaboration between our design team and our clients. Maintaining excitement and fun in all our design efforts by creating spaces with personality and sophistication is always a priority. Kevin Mann is one of the most sought after designers of contemporary residential interiors and the founder of Spenzac. Part designer, part innovator, part visionary, Kevin draws inspiration from a variety of sources and the world around him. Charlotte's Award Winning Interior Designer 2x Best of Houzz! At Diel Design and Interiors, we know that each client has a unique life and style. We begin our process by understanding the way their family lives, works and entertains. Then we help them by developing their style and selecting items to maximize it. With all that is out there to consider, Diel Design and Interiors navigates and creates a one of a kind lifestyle for each client. We believe your home should tell your story; it should be both beautiful and uniquely you. We strive to give each space a "soul"- where every element is necessary to the room as a whole. Everything from the lighting to the rug should be interesting, nothing an afterthought. We also believe in editing anything you don't love or is meaningful to you. When your home is designed in this way, it feels warm, welcoming and most of all, peaceful. Home in it's truest sense. E3 Cabinets & Design is a full service cabinet design studio assisting homeowners in creating truly inspiring kitchen and baths. Let E3 bring your new kitchen or bathroom from dream to reality. We offer cabinetry for any space and at any budget. Visit our design studio to work with one our our talented designers.